From soothing nappy rash to providing your little one with a pampering cleanse, the Uriage Bebe range contains everything you need for your precious little one’s skincare routine and more. With each skincare step suitable for the needs to sensitive skin, the high tolerance formulas within the Bebe range keep your baby soft, supple and comforted. 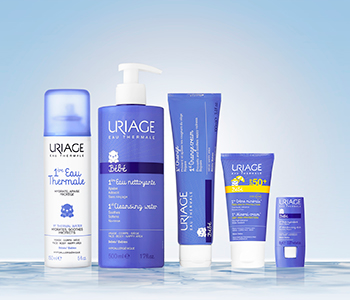 Thanks to the infusion of the Uriage Thermal Water in each product, their skin will be delicately hydrated, protected and strengthened with each use.